At Canton Fair lots of promotional gift ideas are flowing, and these mint tins add a sense of refreshment to anyone’s breath. Mint tins make great gifts as they keep the mints safer, fresher and less likely to be dirtied unlike paper packaging. Why do these custom mints tins make a good promotional gift idea? These tins have huge branding potential for all sectors to use as promo gifts. Mints can be enjoyed by all people, and because the tin can be customised, you can design the tin to show your brand logo, brand mascot, slogans ect. Being made out of aluminium metal also helps keep the mints or sweets (if you choose) fresh, and the tin can be re-used for a long time. 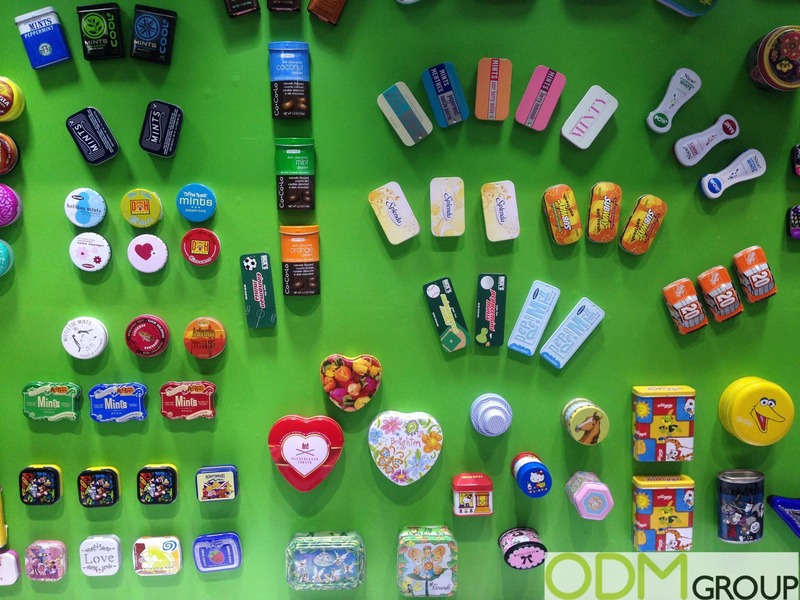 In all, these tins would make excellent promotional gift and merchandise for sweets and confectionery companies, hotels and for children (under supervision). For more cool promo product ideas from Canton fair be sure to check out our further inspirational blogs.